Earlier this year we were invited to the screening of the Diary of a Wimpy Kid The Long Haul. Oh, how we giggled our way through the film. I cannot remember when we last laughed that much. Up until we had watched the film we were aware of the book series, however, hadn’t read any of them for ourselves. Arriving home we ordered the first two books, with the remaining books soon following as we enjoyed them so much. 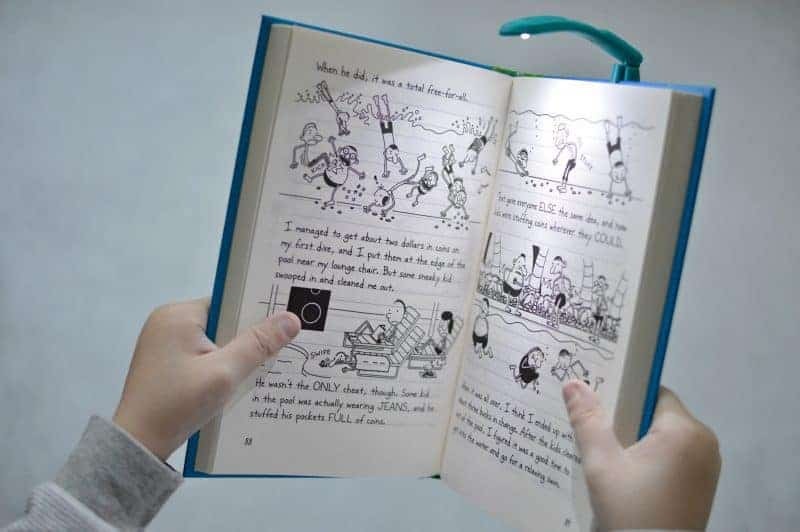 This year marks a milestone moment for the phenomenally successful series, with the 10th anniversary of the launch of the first Diary of a Wimpy Kid book. Bestselling author Jeff Kinney is marking the series’ anniversary and the publication of the twelfth book in the series, Diary of a Wimpy Kid: The Getaway with his third global tour, meeting and entertaining fans around the world with media and events throughout November and December. 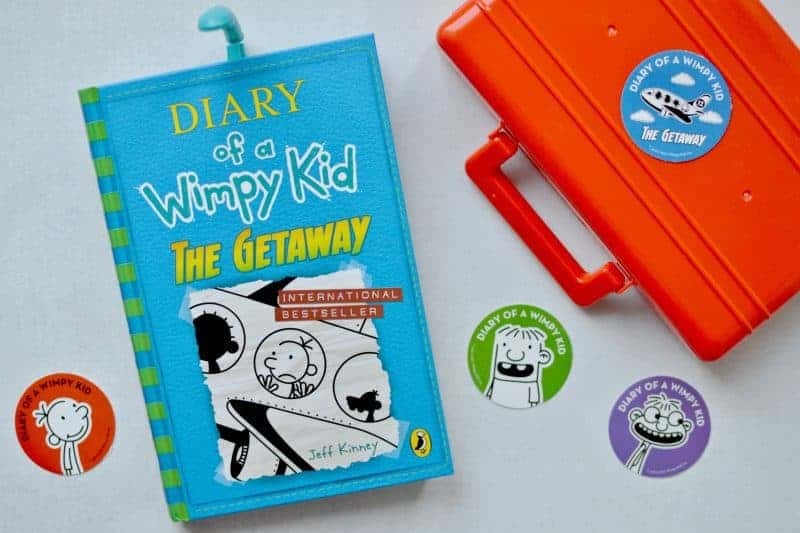 With this new adventure, Diary of A Wimpy Kid: The Getaway, readers won’t be able to stop laughing as they join Greg and his family on a holiday trip to remember. To escape the stress of the holidays, the Heffleys decide to get out of town and go to a resort instead of celebrating Christmas at home, but what’s billed as a stress-free vacation becomes a holiday nightmare. Filled with Kinney’s trademark hilarity, accessibility, and pure fun, this latest Wimpy Kid installment is sure to delight fans once again. Arriving the evening before the official release date, Roo and Tigger were treated to a fun sleepover pack. Cosied up in PJ’s and dressing gowns, whilst hot chocolate topped with marshmallows cooled on the side. They sat down to see what antics the Heffley family were getting up to in the twelfth book. Opening up and reading the first page you are immediately drawn into the storyline. Wanting to hear more about the trials and tribulations of a Heffley family vacation. Following the story unfold through the amazing comic strip illustrations – which assist reluctant readers to pick up the book and guide them along the way. I must confess to being drawn into reading the book last night after the children had gone to bed. Before I knew it I had managed to read almost half of the book. Diary of a Wimpy Kid: The Getaway // Where Can I Buy A Copy? 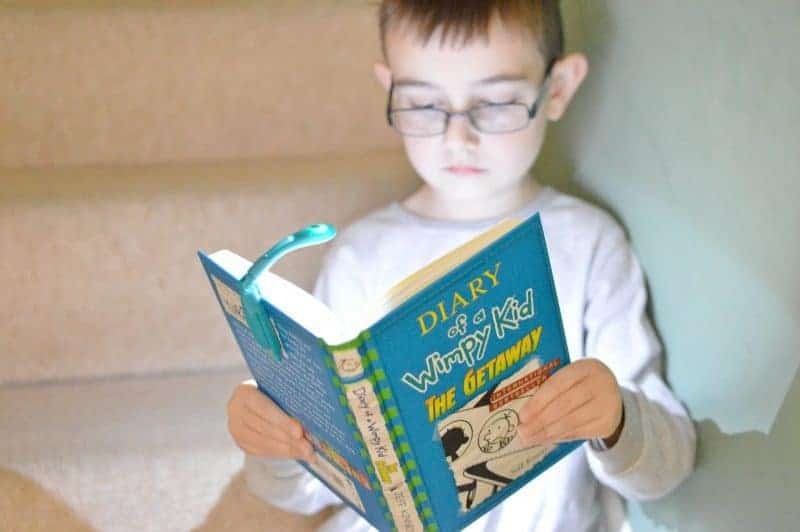 The Diary of a Wimpy Kid: The Getaway is available to buy from Amazon, Waterstones, and all other good book retailers. This is a book that will be on most Christmas wish lists.